MASTERPCB.com is an OEM/ODM Support Services Company Established in 2011. MASTERPCB.com is founded by Enthuastic Technocrats and entrepreneurs who have solid years of domain, design & Implementation expertise in the industry. At MASTERPCB.com we are differentiated though our accountability in owning the product and driving the customer towards their success. We are specialized in end-to-end services. We cover spectrum of key services required for complete product development and product life cycle management including the application development, application maintenance, hardware development, firmware development, embedded systems and testing services. We focus on a strong customer relationship and accountable for product and delivery& support. We act as true development partners to our customers. MASTERPCB.com is simple to use online OEM, ODM solutions portal with integrated payment gateway. We provide Comprehensive One stop Solution from definition to manufacturing of Systems and Subsystems. MASTERPCB’s Strong ecosystem and Strategic alliance partnerships help to deliver the unique Value proposition to our customers. 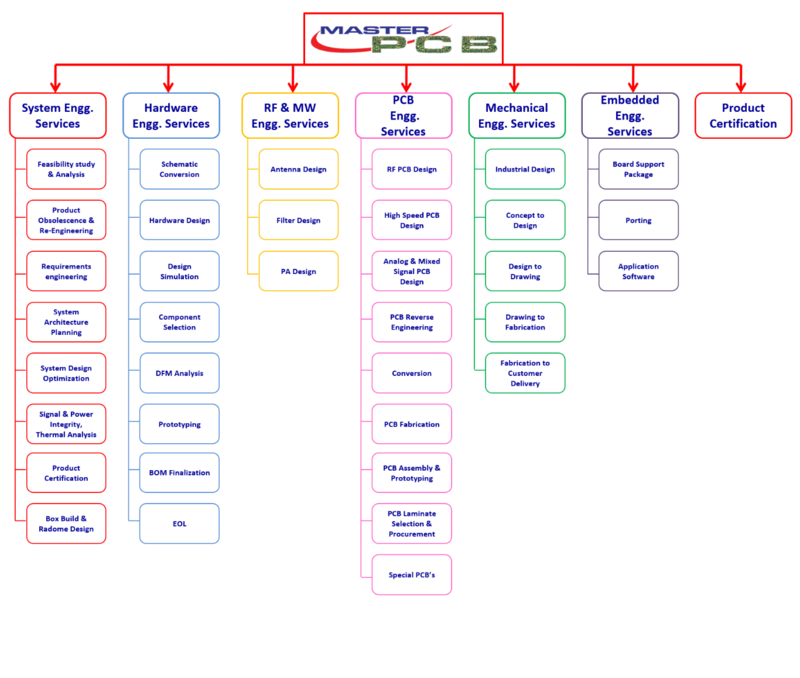 MASTERPCB.com provides one stop solution to its customers by offering the entire Box build to our customers integrating the following resources in our team. MasterPCB.com Offers Integrated Design, NPI and ODM Support. Simple to use online portal to select the offerings. Quick turn design and proto support to OEM’s. Strategic partnerships with Proto and volume suppliers enables customer to get benefited with the one stop solution and the ownership of the activity from our end. MASTERPCB.com has expert team of engineers from various domains capable of delivering the System engineering solutions, HW Design, Software Development, RF Design, PCB design and manufacturing solutions addressing the needs for RF & MW and Hybrid boards. With our team strength and motivation to the service, MASTERPCB.com is committed to ensure better service to its customers on Electronic System Design and Manufacturing (ESDM) services. 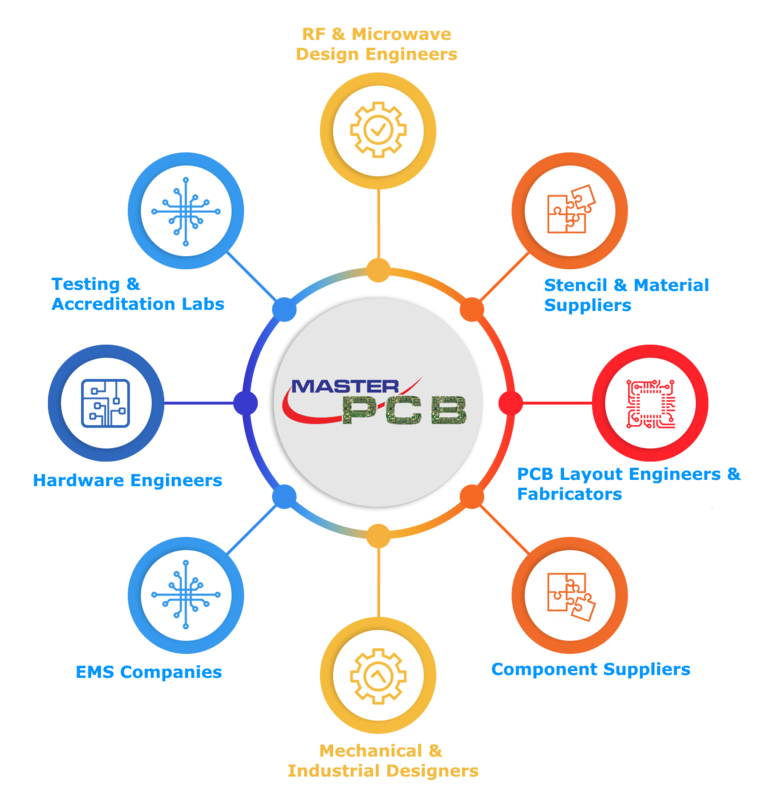 MASTERPCB.com has segregated various phases of system development and our teams of engineers are able to Integrate with the customers in each and every stage of system design, development & Manufacturing process. © 2018 MasterPCB | Designed by Technoid · All Rights Reserved.